Flash Drop down menu. Up to 4 levels. Dreamweaver extension. Search engines friendly! Easy configurable flash menu. Make your site navigation in minutes with this menu. This is ready to use web site menu. Change default parameters and publish. The drop down menu is saving your web site space. Flash menu is displaying over HTML content. Open Tag Inspector(F9) and you get full control of the menu in Dreamweaver. 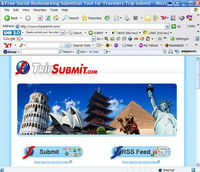 You can easily configure navigation of your site without necessity of programming. Professional design, fast loading menu. This extension adds to insert bar of your Dreamweaver new component which creates Adobe Style flash menu on your web page with 1 mouse click. To install: If you have Macromedia Extension Manager installed, just double click on MXP file to start installation process. If you don't, dowload it from www.adobe.com . To configure: In the Tag insperctor choose desired menu colors, sizes, configure navigation and search form. For detailed info visit http://www.f-source.com/buy/adobeMenu Compatibility: Dreamweaver MX 2004, Dreamweaver 8.